Counted among the prominent companies we, deal in the manufacturing, supplying and exporting of Seasonal Flower Seeds which includes Summer Flower Seeds Winter Flower Seeds. Possessing excellent aroma and taste, these flower sees are cultivated under the best of circumstances and are available in pollinated and hybrid species. To add on, these flower seeds are typically used in the production of edible oil. We offer a comprehensive range of Summer Flower Seeds that provide a healthy yield of seasonal flowers. 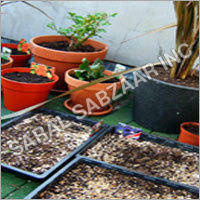 We use high quality fertilizers in the production of these seeds so as to get the best possible results. These seeds have a plump, shiny appearance and the entire lot is consistent in its quality. They are made available at nominal rates. Looking for Seasonal Flower Seeds ?